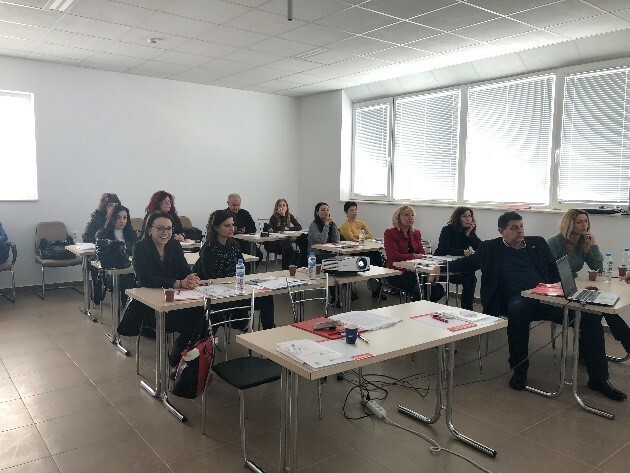 On March 20, 2018, the Bulgarian project team "EDU-LAB - New Danubian governance in labour market relevance of higher education" organised a Focus Group - Mechatronics Industry and Automation Seminar. The main purpose of the meeting was to discuss models for more practical training of staff and their needs. This meeting is the first of a series of workshops and seminars to be organised during the pilot project activities in Bulgaria. • Drawing up a proposal for pilot approbation of the curriculum models in an adapted German model. In Serbia, the initiative of introducing elements of dual education in higher education within the EDU-LAB project began in 2017. In December 2017 was organised a national kick-off meeting between the representatives of the Ministry of Education, Science and Technological Development, Chamber of Commerce and Industry of Serbia and Institute Mihajlo Pupin. The meeting was a starting point for identifying relevant higher education institutions and companies which would be suitable for the pilot activity within WP6 of EDU-LAB. 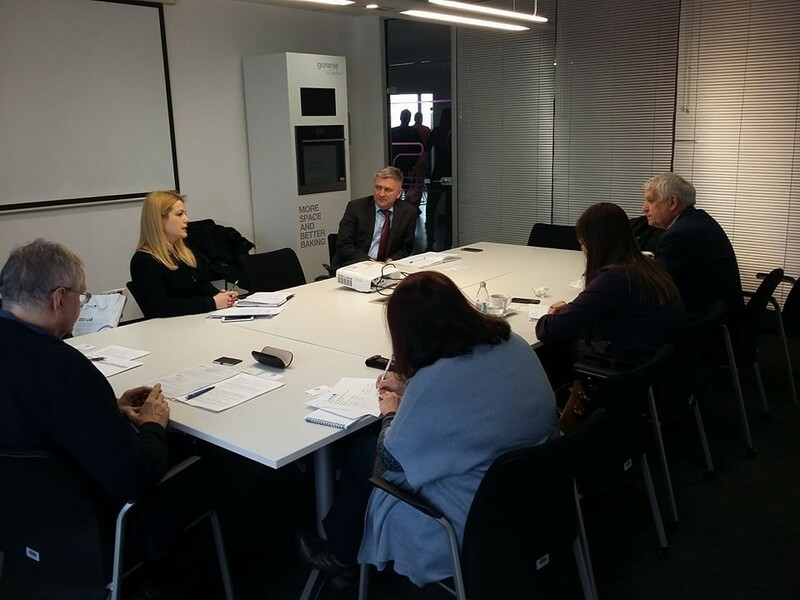 Based on the results of the national kick-off meeting, in February 2018 was organised a pilot kick-off meeting with a selected higher education institution (Faculty of Economics, Finance and Administration (FEFA)) and a company (Gorenje doo) which agreed to work on adapting higher education study programme („Economics“) in accordance to the needs of the company. In Slovakia, an initiative towards accreditation of professionally-oriented study programmes at higher education institutions began in 2017. The respective framework criteria for accreditation of professionally-oriented bachelor study programmes at HEI were approved by Slovak Minister of Education in February 2018. Based on this achievement as well as needs arisen more and more often from the business community in Slovakia, Slovak project partners ZAP SR (Automotive Industry Association of Slovak republic) and DSIHK (German-Slovak Chamber of Industry and Commerce) have decided to bring further efforts in developing the linking of higher education with employment through pilot project of Volkswagen Slovakia and Faculty of Mechanical Engineering of Slovak University of Technology in Bratislava. 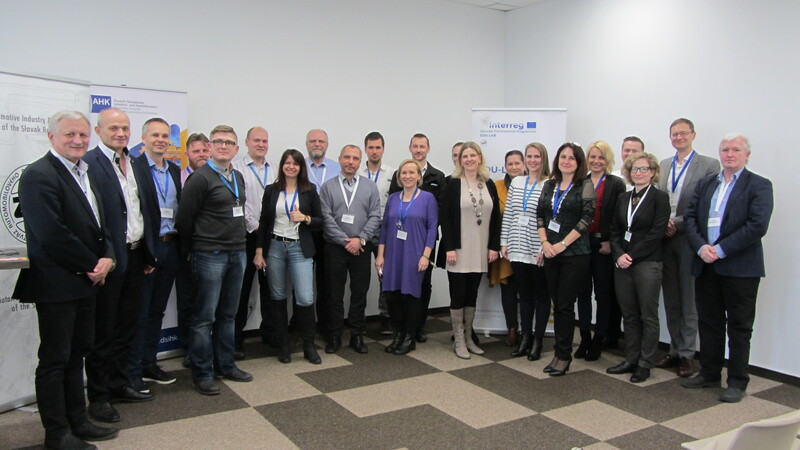 Furthermore, amongst several Slovak stakeholder meetings within last months, a first Slovak stakeholder workshop took place on March 22-23 2018 in Šamorín, where a basis for Coordination point and definition of respective functions and next steps of such platform were set-up with almost 30 participants. The aim of the Faculty of manufacturing technologies in the recent period was to create common educational model in collaboration with partners from practice, especially oriented towards automotive industry. Thereby the aim is also to connect to present results in the mentioned area of interest and succesfull cooperation with leading slovakia employers such as Kia Motors Slovakia s.r.o. Zilina, Continental Automotive Systems Slovakia s.r.o. Zvolen, Lear Corporation Seating Slovakia s.r.o., Presov and Honeywell, spol. s r.o. Prešov. 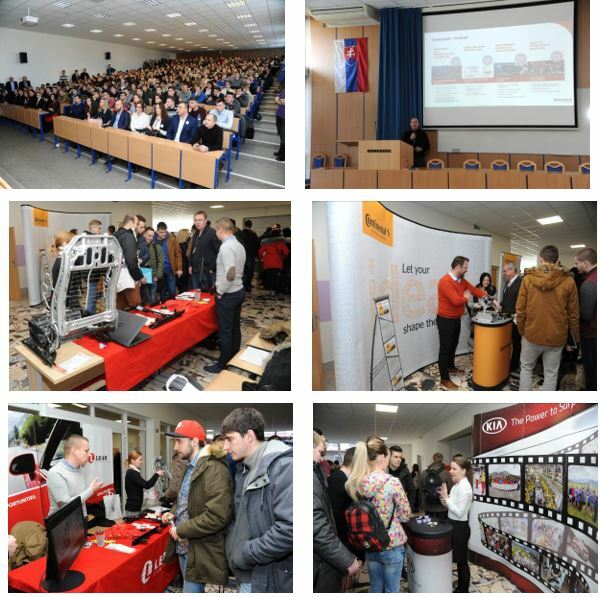 Within active cooperation were organised several successful meetings and activities to bring together cooperation and partners to achieve mutual education of students, who became qualified in the area of automotive industry. The companies held a meeting at the Faculty where they discussed study plans and study programs related to „Automotive production technologies“. They also tried to find how to best involve students into practises, whether it is by undertaking the practise or working on a diplomaa thesis assigned by the companies. Subsequently, based on present results the faculty is planning in 2018 to summarize and systemically set up methodology for successful start of mutual education of students in cooperation with partners from practice.